In his first season at the helm, Bills Head Coach Sean McDermott ended the longest playoff drought in the NFL by leading his crew to a 9-7 record and a spot in the postseason, an honor they have not held since 1999. With a quarterback situation that is very up in the air, Vegas does not see McDermott’s group repeating the same success and the Buffalo Bills betting odds suffer as a result. The odds can provide great value, however, considering that this is a team fresh off a winning season and a playoff berth and is talented throughout. Even with most of the Bills’ roster still intact, it is very hard to put faith in this year’s team due to the lack of a good option under center. The Bills made a questionable move over the offseason, dealing three-year starting quarterback Tyrod Taylor to the Browns for a third-round pick. Bills GM Brandon Beane felt Taylor was expendable due to owning the #7 overall pick in the 2018 Draft, which featured a plethora of quarterback prospects. The Bills selected Wyoming product Josh Allen, who has great arm talent and is projected to start in the future. The problem with Allen is that he will likely not be able to start in Week 1 unless he makes rapid strides in training camp. This leaves the starting job to former Bengals backup quarterback A.J. McCarron, who has passed for 920 yards in ten games in his three-year NFL career. While looking adequate in limited playing time, the Bills are assuming a major, and yet totally unnecessary, risk by handing this unproven youngster the reins to the offense. 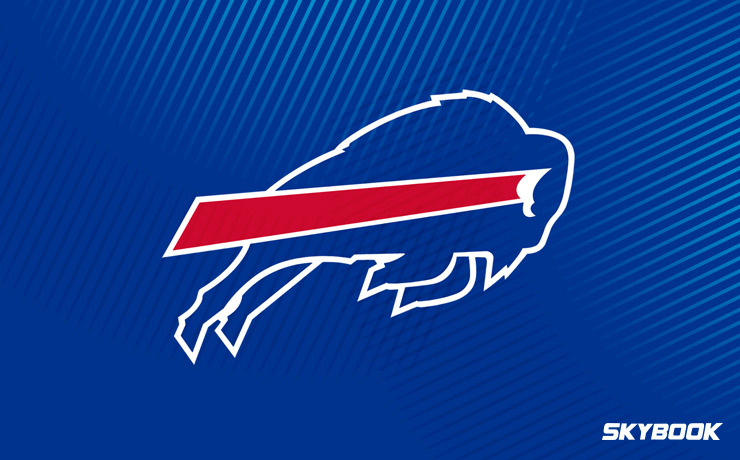 The Bills packaged the third-round pick they received for Taylor in a deal to the Ravens to move up and grab a second first-round selection in the 2018 Draft. Sean McDermott was able to get himself a linebacker who fits perfectly into his scheme in the Virginia Tech Hokie Tremaine Edmunds. The Bills’ defense was below-average in 2017 and Edmunds was obviously recruited to remedy this issue. Many are scratching their heads at the decision to trade Taylor, but if the Bills’ defense suddenly plays inspired and gets the team back into the playoffs, McDermott will look like a genius. The Bills have picked themselves up from league laughingstock to a perennial playoff contender deserving of any opponents’ respect and best effort. Here at SkyBook, we pride ourselves on being the best NFL sportsbook for all your football betting needs. If you want to follow or bet on the Bills this season, we are delivering game analysis, matchups, and injury reports all season long right here on our secure site. The Buffalo Bills betting odds to win Super Bowl 53 are 40-1. Back this popular sleeper pick and experience first-hand why we are the best football betting environment with great bonuses that you will not find anywhere else.